This post will be talking about Game of Thrones, HBO’s excellent adaptation of A Song of Ice and Fire, the epic (and as yet unfinished) story from George RR Martin. I’ll be focusing on the disgraced ex-Maester Qyburn, who is a creepy guy in general. Spoilers ahead. Spoilers? Hah! Spoilers are only feared by the ignorant and uneducated. I’ll get into the defense in a moment, but first I’ll provide a quick recap of who this Qyburn guy is. With Roose Bolton occupying Harrenhal on behalf of Robb Stark, Qyburn served as medical staff, having been trained as a maester at the Citadel. 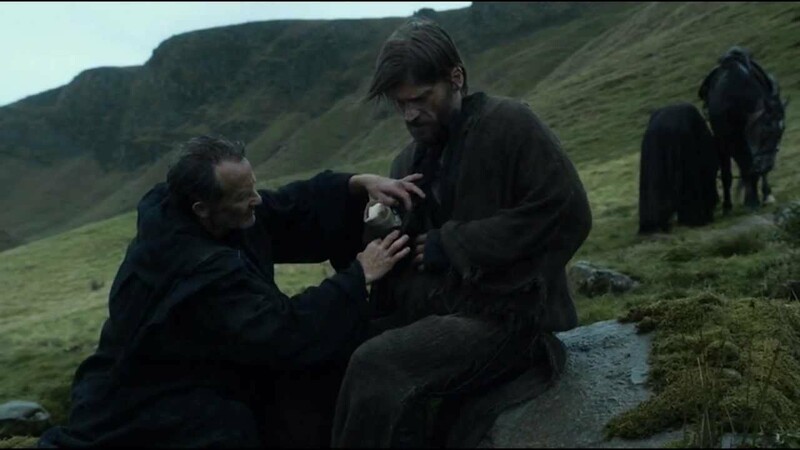 Qyburn treated Ser Jaime’s infected stump when Bolton men captured and maimed the Kingslayer. Qyburn told Jaime about his expulsion from the Citadel for unapproved medical research. When the Mountain was poisoned in the duel with Prince Oberyn, Qyburn was charged with saving the giant knight’s life at all costs. With Tywin’s death, Cersei took the opportunity as regent (with no one to question her) to promote Qyburn to the small council as a replacement for spymaster Varys. Qyburn attended to Cersei when she’d returned to the Red Keep on parole from the Faith Militant. He had by his side a huge new member of the Kingsguard. A Mountain-sized unspeaking knight. So, what am I defending Qyburn against? On the show, I really can’t fault him for providing medical attention to Ser Jaime, and there might be more heinous crimes than zombifying Gregor Clegane, because we know that’ll probably backfire spectacularly. Instead, I’m going to talk about Qyburn and the reasons he was defrocked or disbarred or deboned or whatever they call it when a maester is stripped of his merit badge chain. On his travels with Jaime, Qyburn danced around the topic of his medical research, but Jaime is no fool. 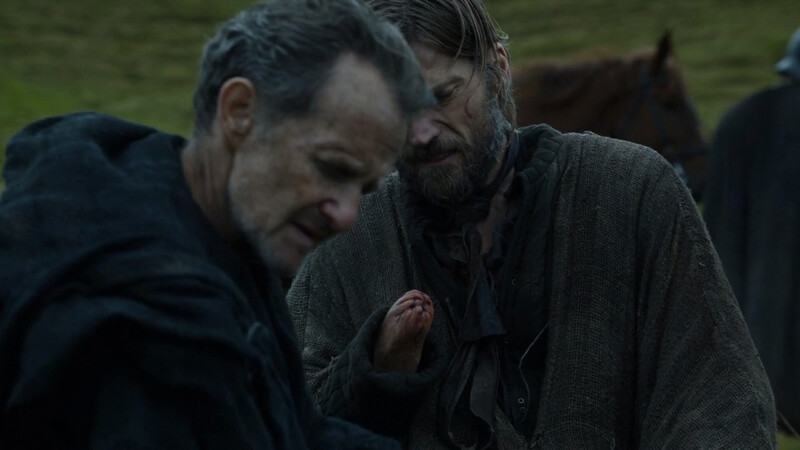 The one-handed Lannister correctly guessed that Qyburn had operated on unwilling living patients to discover the more complicated secrets of biology. Qyburn tried to high-road Jaime by saying that his research efforts could ultimately save lives. Jaime isn’t high-roaded so easily. Qyburn: How many men have you killed, my lord? Jaime: Countless has a nice ring to it. Qyburn: And how many lives have you saved? Jaime: Half a million. The population of King’s Landing. Human experimentation isn’t something I’m quick to condone, but I’m receptive in some way to Qyburn’s motivation and argument. Hold that thought while I talk briefly about maesters and the Citadel. Not counting Qyburn, we’ve seen four different maesters on the show, and three of them are dead. Maester Aemon, one of the last Targaryens, could have been king of Westeros but he abdicated his claim to the idealistic and adventurous Aegon the Unlikely. Aemon: Have I told you about Egg, Tarly? Sam: Only a thousand times, Maester Aemon. 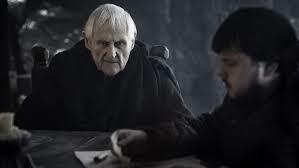 Sadly Aemon passed away in the last season, but at least he didn’t have to hear about the Lord Commander he supported being betrayed. Just a bit south of the Wall, Maester Luwin had served the lords of Winterfell. I know it’s hard to believe, but I once had hair. A mullet. A glorious mullet! This briefly included serving and advising Theon Greyjoy, since Theon was for a short while the Prince of Winterfell after taking the ancient fortress by force. At least Luwin lived long enough after the sack of Winterfell to see his young lords Bran and Rickon leaving the ruined castle unharmed. Overall Maester Luwin was a decent chap. He was wrong to discount Bran’s visions, but it is hard to disapprove of his skepticism. Off the east coast of Westeros, not too far from King’s Landing, Stannis Baratheon had been served by old Maester Cressen, who objected to the power and influence that Melisandre of Asshai and her foreign religion was having over the Lord of Dragonstone. And this was when Melisandre was only having idols burned, and not heretics. Cressen made the ultimate sacrifice in an attempt to kill Melisandre, but it was a futile gesture, as only he died. And in King’s Landing, the viewers have seen the deceptive Grand Maester Pycelle, who strove more in service to the Lannisters than necessarily the crown. Quite honestly, I’m impressed that you can tell all of us old, bald dudes apart. He’s still on the small council, but his influence sharply dropped when Cersei began running the show. With the return of Kevan Lannister to the capital, he’s recovered some of his old stature. The maesters on the show differ in their influence and the circumstances of their service, but all share common characteristics. Obviously, they’re the classic “learned men.” In general, the nobility is given an education, but in almost all other cases, any subject matter experts are maesters. They definitely serve as medical personnel. The maesters are pretty solid on things health-wise. They have anesthetics and antibiotics (the book talks about moldy bread, which would imply penicillin) which is definitely a surgical asset. 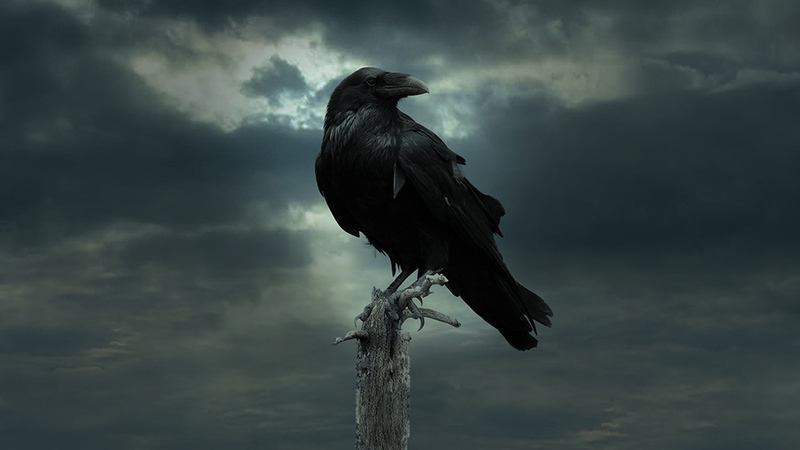 They also maintain the communication network of the Seven Kingdoms, based on trained ravens carrying messages. A sort of medieval Twitter. Squawk! You’ve got mail! Chain mail! Look, that raven network is awesome. Almost magical. 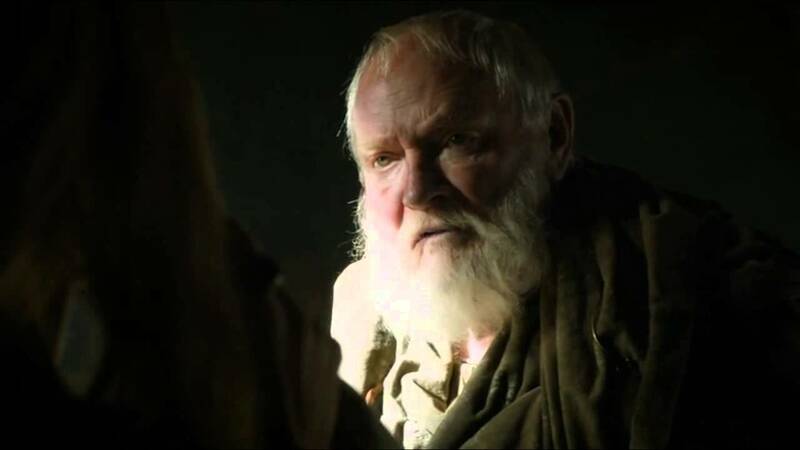 There doesn’t seem to be a religious connection to the maesters, per se, although Grand Maester Pycelle did offer up a religious opinion in court, justifying Joffrey’s decision to annul his betrothal to Sansa so he could be free to marry Margaery Tyrell. Maester Cressen objected to Melisandre’s insistence on Stannis abandoning the Faith of the Seven and the burning of the idols. But in that case, it might be more of a cultural or personal issue Cressen was having, rather than an institutionalized response. And Pycelle’s religious based legal opining might simply have been him demonstrating his lawyer training and not an indication that he was exercising religious authority. So what does this all have to do with Qyburn, and some kind of defense of him? Okay. It just seems weird to me that, as far as I can tell, technological advancements have been stalled in Westeros for hundreds, maybe thousands of years. The maesters basically have a monopoly on information and knowledge. Okay, monopoly is a strong word, obviously when they teach someone something, the student also knows it, like wen they educate the members of the noble houses that they’re attached to. But the maesters are still indispensible. They’re part of the information process. If technology is not advancing, it’s because advancement is either being actively suppressed by the Citadel, or that the Citadel restricts or discourages research into expanding the frontiers of science. I mentioned that the maesters don’t really seem to be overtly religious, but that’s kind of a religious institutional approach. Lineages and history are things to write about, but engineering principles involving steam power? Not so much. In our own history, we’ve seen cultures that had had unchanging aspects for long periods of times. 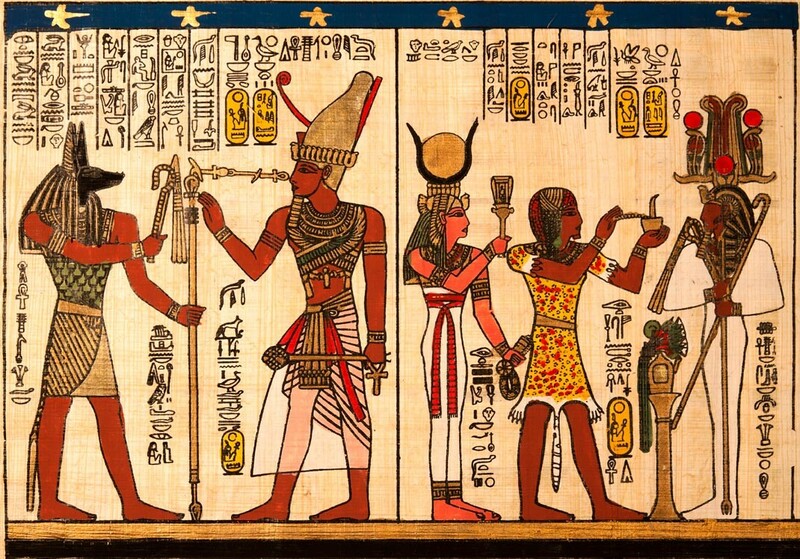 The Egyptians had an art style that went relatively unchanged for thousands of years, because that aspect of their culture was controlled by their religion. Once the sacred style of representing the world pictographically was established, it was profane to deviate from the rules. I’ve already pointed out that the maesters don’t seem to have a religious basis, but it feels like there is a similar reverence for the status quo. Even the name of the maesters’ institution, the Citadel, has an ominous and closed sound. It’s not the Imaginarium, or University, or Hall of Knowledge. It’s the Citadel of Oldtown. The maesters wear chains to identify their fields of knowledge. Rarely are chains symbolic of freedom or open-mindedness. It seems like what the Citadel needs, what progress needs, are visionaries to push against the status quo, to redefine the possible, to reinterpret static dogma dynamically. In mythology, the technological advancement of fire was brought to mankind due to the courageous actions of the titan Prometheus, who decided to disobey Zeus for the greater good of mankind. (Then his liver became an endless buffet for an eagle.) Such rebels who buck the establishment, like Prometheus, are usually regarded positively by the common man. So, this isn’t really a defense of Qyburn the vivisectionist, but a recognition that we need more learned rebels in Westeros who love knowledge. Ones that also aren’t awful. Luckily we have a candidate who I hope will replace Qyburn in the role of Prometheus. Sam Tarly. Sam kicked off a sexual revolution with Gilly, and now it’s time to take it to the maesters. Oh yeah. Near the end of the last season, Jon Snow tasked Sam to travel to Oldtown to pursue the goal of becoming a maester. Sam certainly has the mind for it, the Night’s Watch needs a replacement maester who understands what’s going on in regards to the icy Others, and Sam’s one of the rare decent fellows in Westeros. If you had just wanted to praise this Tarly fellow, I’m sure you could have dispensed with the clickbait headline and left me out of this. So, Qyburn. I’m willing to give you points for not meekly obeying the Citadel’s suffocating rules, and at least professing that your research might help bring a benefit, but your lack of ethics is a deal breaker. Hopefully, the Mountain will be your ironic demise. Sam, start changing the system from the inside! Images from HBO’s Game of Thrones (obviously.) Well, yeah, the image of Diana Rigg and the hieroglyphics are not from Game of Thrones, Google provided them to me. 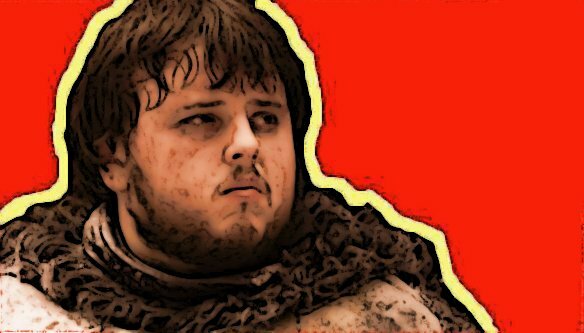 The revolutionary poster of Sam Tarly is just something I threw together. I make no claims to the artwork (well, other than my Che Guevarra version of Sam), but some claims to the text. So there. Qyburn seems to play a similar role to Grigori Rasputin, personal friend and adviser to the last Tsar of Russia, Nicholas II and his family. Rasputin was a faith healer of peasant stock and probably a quack. He exerted a huge amount of influence over the royal family. He was also hated by the court and ruling classes. His potions and remedies were hocus pocus, Qyburn’s practices, although awful, have harmed some but have the potential to help many. Rasputin is said to have had an untimely end, no-one really knows. Will Qyburn go down the same road? I’m not sure. But I kind of like him. He’s clever, observant and seemingly subservient enough to carve out his own niche with a person of influence. Although he seems to have backed the wrong horse – Cersei. And strange as it may be, he actually seems fond of her and she of him. I don’t find Qyburn creepy. I find him interesting. I can think of other terrible people who beat Qyburn hands down in terribleness. 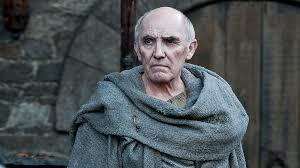 Pycelle is a far more reprehensible maester than Qyburn an ex-maester. Now Sam, sweet clever Sam is a wonder encloaked in a bumbling exterior. I believe he will have an important part to play in the Winds of Winter. I appreciate you speaking up for Qyburn. I’m biased because Book-Qyburn is party to some pretty awful stuff that’s kind of not happening on the show. Just saying. The Sams seem to have it – Samwell Tarly and Samwise Gamgee: Loyal friends to the main hero, abundant in good old fashioned wisdom, with a deep well of courage in hidden places. They are in truth another kind of hero; the Everyman’s Hero. I include Neville Longbottom in the same camp, even if he isn’t a Sam. In general, I’m all for rebels, with and without causes. Plus, I totally agree that pushing the known boundaries is the way to advance – but why, oh why must he choose Cersei and resurrect the Mountain? Unless it’s a Trojan Horse takeover with his new monster. I could perhaps get behind that twist. 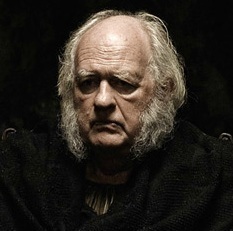 LOL, I really enjoy your suggestion that the old guys kicked Qyburn out for being less-than-old. Nice! I love the point you make about the symbolism of the chains. I think the Maesters as a whole are a shady group with an agenda. I’m not quite convinced on what the agenda is but I don’t think it’s the eradication of dragons. I think the Hightowers are are the Illuminati in all of this. 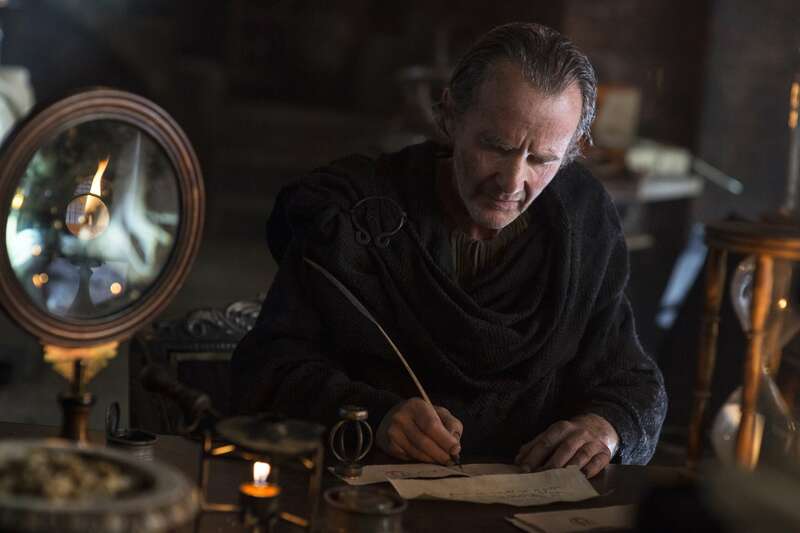 Yeah, as some of the other commenters pointed out, Qyburn on the show actually seems like a cool guy to hang around, provided he doesn’t have a reason to check out what’s inside you. 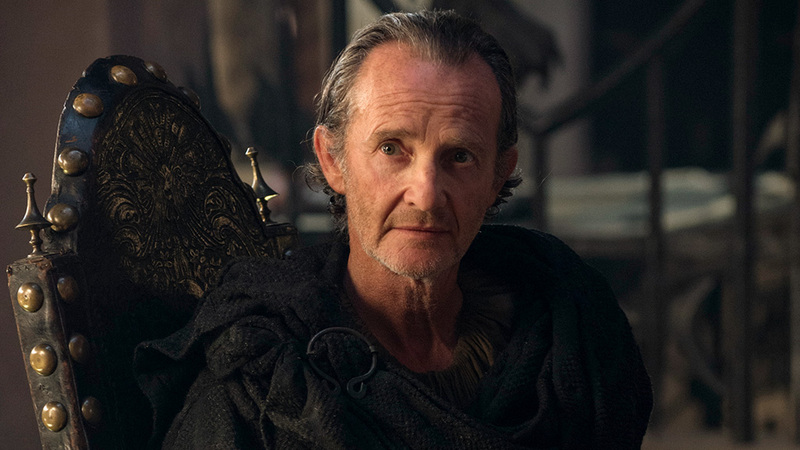 Book Qyburn… because he was the fixer for Cersei… and nothing he did could have been pleasant… ugh. Hey man, thanks for leaving a comment on the blog!